Dogs, cats, and other pets bring love and companionship to any home. But they also can bring odors. When pets live in your home, it’s easy to become accustomed to their smells. You may not even notice the way your home smell. But anybody visiting your house can usually tell that you are a pet owner the moment they walk through your front door. Everybody loves their pets. But they may not love the way they make their homes smell. That’s why homes with pets often require more frequent cleaning. In hot climates like South Florida, it’s not unusual for houses to be kept closed up practically all summer long. While this is ideal for keeping the cool air from the air conditioner inside, it also keeps pet odors trapped in your home. One of the fastest, easiest, and most efficient ways to remove pet aromas is to air out your home. Opening windows and doors even for a short period of times allows the natural breeze to blow out all the unpleasant pet odors and replace them with the smell of fresh, spring air. While pet smells float in the air, they also can settle on the surfaces of your home. This is especially true if pets are allowed to sit on your furniture. 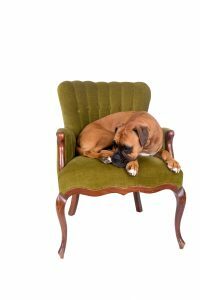 Dog dander can build up on couches, chairs, and other surfaces, contributing to the pet smell in your home. The only way to remove it is through frequently cleaning. At Posh Home, we specialize in helping pet owners keep their homes clear of pet smells. Our professional, experienced cleaners can remove unpleasant odors, leaving your home smelling fresh and clean every time. If you love your pets but don’t always love the way they smell, let Posh Home keep your home fresh and clean all the time.